A woman knocked down in the forecourt of a filling station in Lurgan on Monday (January 2) was taken to hospital for treatment. Just after 5pm on Monday, police received a report that a female pedestrian had been involved in a collision with a car at a garage forecourt in the Avenue Road area of Lurgan (understood to be Parkgate Filling Station). The woman was taken to hospital for treatment to her injuries which are not believed to be life threatening. 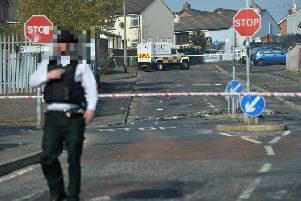 Local MLA Carla Lockhart said she had been contacted by a number of people in relation to the incident, “My thoughts and prayers are with all those caught up in this accident particularly the person who has been injured and is receiving medical attention, the driver of the vehicle, the staff at the station and our emergency services who were at the scene in minutes.